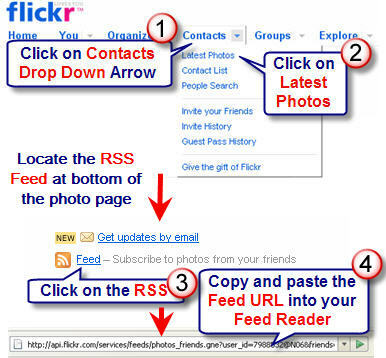 Flickr was a Web 2.0 tool that initially did not grab me because I didn’t get the idea of sharing photos online. Now I can’t live without Flickr, and it offers so much, that it is definitely worth taking the time to learn how to use more effectively. 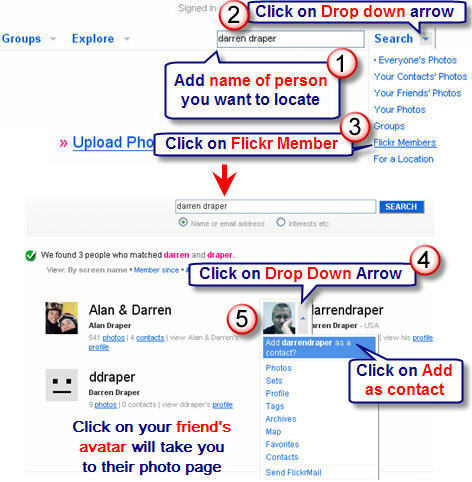 If you are new to Flickr I strongly recommend that you check out Josh Lowensohn’s Newbie’s Guide to Flickr and Alan Levine’s What we can do with Flickr (especially the links below the photo). There are a range of different Creative commons licenses; each impose different restrictions on how you use the images. I strongly recommend that you read Skellie’s A Complete Guide to Finding and Using Flickr Images for an excellent overview of creative commons licenses. All images licensed under Creative commons means that you are required to credit the author with a link back to their profile. You do this by inserting below the photo the link e.g. Photo by Sue Waters. The benefit of making Friends on Flickr (Flickr calls them contacts) is you learn about the cool stuff your friends are getting up to e.g. snowman, playing with Santa in Second Life, the “must have” computer mouse (Darren – I think you need some friends). 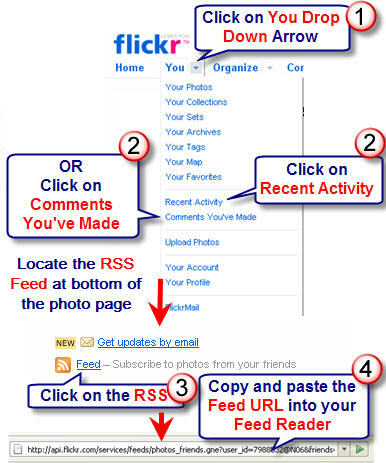 Best way of seeing the latest photos from your friends is to subscribe to the RSS feed from photos from your friends using your Feed Reader. Subscribe to recent activities on your photos using your Feed Reader– this lets you know when people write comments on your photos so you can respond back to comments quickly. Subscribe to updates on photos you’ve commented on using your Feed Reader – so you are advised when people make further comments so you can choose whether you want to respond back. If you use Flickr a lot it is definitely worth paying for a Pro Account because it only costs US$24.95 per year for lots of extra benefits e.g. unlimited Sets and Collections for organising photos. The difference between a set and a collection is a set contains photos whereas collection contains sets e.g. I may have my photos arranged into sets called Snowman, Christmas trees, Christmas Decorations and then have all these sets organised in a Collection called Christmas. 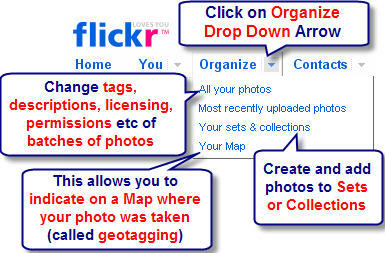 Flickr has so many features that it is impossible to cover them all in a blog post. Please let us know your tips for getting more out of Flickr or if you use another photosharing website, what do you like about the site you use. i thought giving credit to the artist meant you just had to give their name, and you could provide a direct link if you had the time. Hmm, better go back and double check. (Moan!) You know i wish flickr would put the name of the photo and the artist as the file name when you download. Would make things much easier than the 89p3740o870.jpg filenames we currently get. I’m a bit like Cammy. Didn’t really get it. But I do love taking photos with my camera phone. Thanks for your article. As usual, it’s full of interesting detail and great pointers. 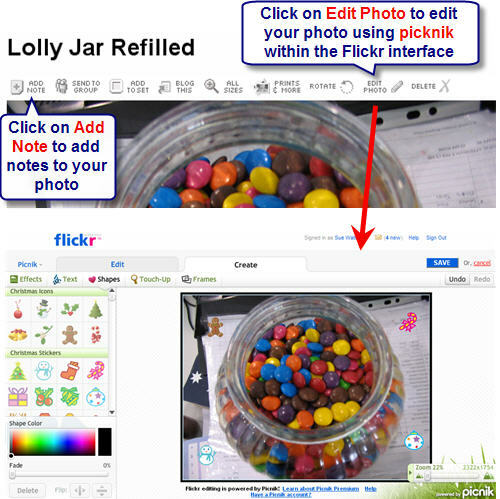 I am encouraged to think harder about how I can make flickr more an integral part of what I do. I hope you and your family have a great time playing the Christmas game. Hi Sue! Thanks for the great resource! Valuable information and distinguished enterprise you got here!